The generous participation of our industry partners make this video journal available initially at no additional charge to our members. 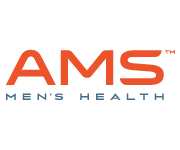 AMS Men’s Health, a leading provider of erectile dysfunction and male stress urinary incontinence devices. For more than 40 years, AMS Men’s Health has been dedicated to improving patient access and outcomes by providing caring and knowledgeable educational resources to healthcare professional and patients. Coloplast develops products and services that make life easier for people with very personal and private medical conditions. Working closely with the people who use our products, we create solutions that are sensitive to their needs. We call this intimate healthcare. Coloplast strives to listen and better understand our customer needs, and respond by finding new ways to do things better together. We lead by bringing safe and innovative ideas to market in the form of medical devices and service solutions. Coloplast produces a range of surgical devices to help people who suffer from urological disorders such as erectile dysfunction, urinary incontinence, and pelvic organ prolapse. We are in continuous dialogue with surgeons and nurses to improve less invasive surgical therapies for male and female incontinence. And we work to constantly improve our E.D. products and streamline other surgical implant procedures. For more information, call or E-mail us.